“It’s a wide-open field, there for the taking,” says Cara McCarty about the innovative designs featured in “Access + Ability,” the newest exhibition at the Cooper Hewitt, Smithsonian Design Museum in New York City. Three wheelchairs at the entrance of the exhibition embody just what McCarty, the Cooper Hewitt’s curatorial director, and exhibition co-curator, is talking about. One is long-nosed sleek and highly customized, a racing vehicle reminiscent of a drag racer. It was designed by BMW Designworks, in collaboration with Paralympic athletes Tatyana McFadden and Chelsea McClammer. Nearby is its diametric opposite, equipped with rugged tires and a sturdy frame. This wheelchair can reliably traverse the unpaved surfaces prevalent across much of the developing world. The third is clearly a hospital chair, but it is wider and brighter than the familiar models. Simpler to get into and out of yet also easier to propel and to clean—this chair is designed for all users, whether in or out of the saddle. 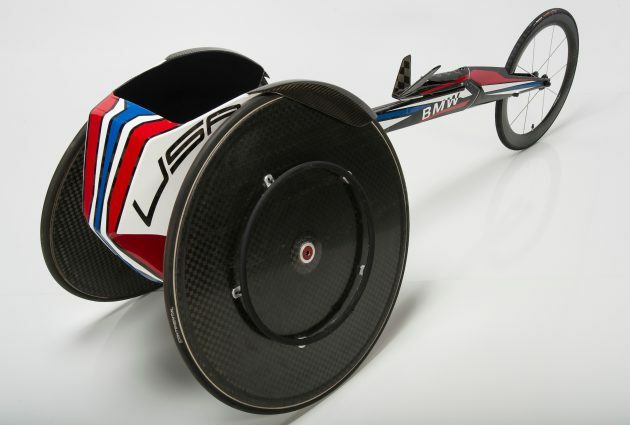 This trio is transformed, and have evolved beyond just being wheelchairs. 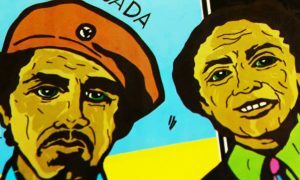 Together, they make a strong statement that echoes the exhibition’s theme: There has been a surge of design with and by people with a wide range of physical, cognitive, and sensory abilities. Fueled by advances in research, technology, and fabrication, this proliferation of functional, life-enhancing products is creating unprecedented access to homes, schools, workplaces, and the world at large. This opulent earring is actually a hearing aid. This image is from “Tools of Life,” a project by artist Elana Langer and photographer Hanna Langer, both of New York City, to reduce the stigma connected to assistive tools like hearing aids. 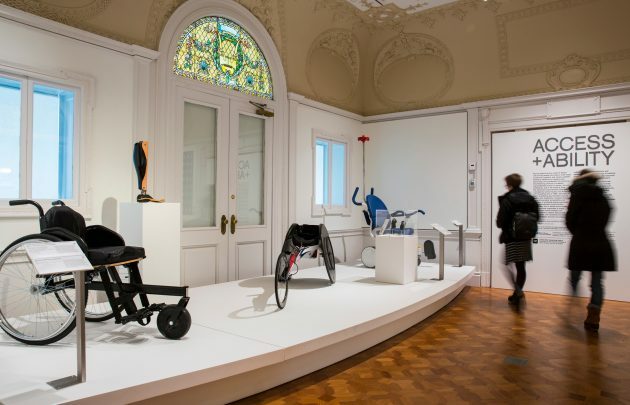 “Access+Ability,” which opened at Cooper Hewitt in December, features more than 70 products and services demonstrating why aesthetics should be of primary concern when designing for populations with different physical, mental and emotional needs. From increasingly versatile canes and customized prosthetic leg covers to shirts with magnetic closures and shoes with wrap-around zipper systems, the exhibition shows how products created in the last decade are becoming more accessible, functional and fashionable all at the same time. Groundbreaking assistive technologies, 3-D printing and haptic feedback, and new design solutions are also extending sensory perception, providing new ways to navigate and negotiate, and promoting greater access to sports and recreation. “There is momentum to do more and more,” McCarty adds. “In addition to all of the young people today genuinely interested in social-impact design, the aging population is swelling. “Access + Ability” was inspired in part by an Institution-wide push by the Smithsonian to expand public accessibility to its collections and programs, as well as a burgeoning interest in inclusive design that McCarty has observed in recent years. 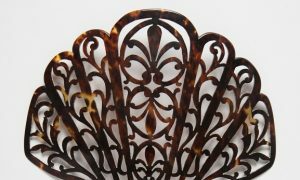 Many of the objects on display are evolved versions of their former selves, still recognizable as assistive devices, but elevated into elegant accessories that demand to be flaunted. 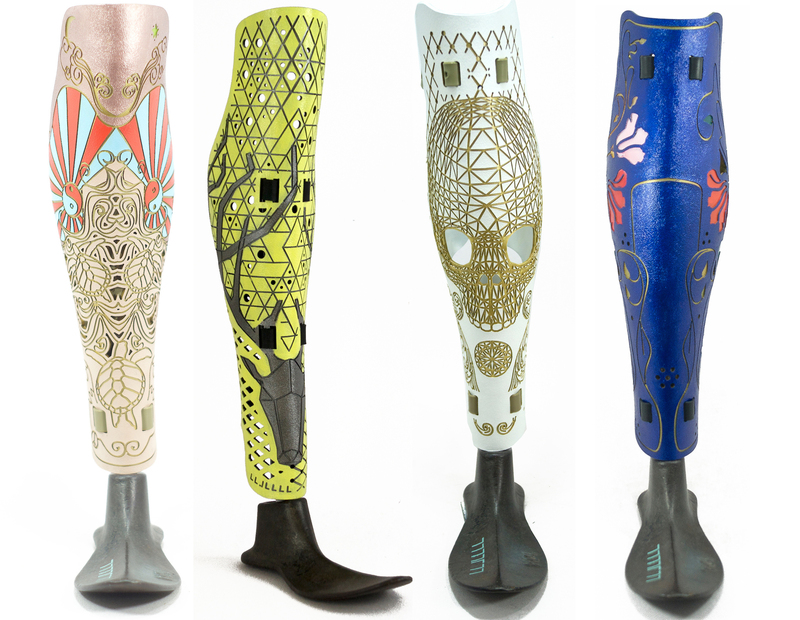 For example, with their bright geometric patterns, Top & Derby compression socks break free of the staid pharmacy shades of black and tan; ALLELES Design Studio’s prosthetic leg covers, digitally fabricated with metallic filigrees and etched skulls, are customizable to a wide range of wearer’s tastes. And although the Swarovski-encrusted Earring Aid designed by Elana Langer would be right at home on the red carpet, changes need not be this extreme to increase an object’s usefulness and appeal radically. The Afari is featured in “Access + Ability” at the Cooper Hewitt. At first glance, the Uno card game in the exhibition seems out of place in a room that also contains eye gaze-controlled computers and clothes that transform music into light and vibrations for the hearing-impaired. But one little symbol revealing a card’s color added to the corner of each Uno card makes it possible for people with color blindness to have a hand in on world’s most popular card game. On the other hand, big changes are possible, too. 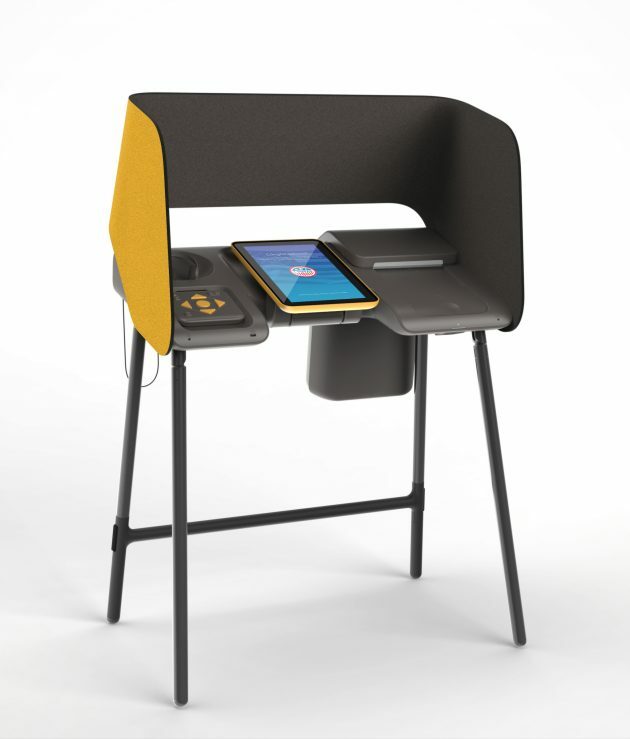 A prototype of the voting booth to be used in the 2020 elections in Los Angeles County, Calif., has all the usual features and more: a lower, wider stance, to accommodate people in wheelchairs and with reduced mobility; large yellow toggle buttons, for those who can’t use touchscreens; and headphones, for language translations and those with reduced vision or hearing. Playgrounds and parks are other examples in “Access + Ability” of how spaces are being transformed. Morgan’s Inspiration Island, a splash park in San Antonio and the Magical Bridge Playground in Palo Alto, Calif., were both designed with input from a wide, deep cross-section of users. The result: places welcoming to people of all ages, cultures, backgrounds, and abilities. “Playgrounds are some of our first classrooms, and in spaces like these, people can experience and appreciate first-hand what other people can do rather than what they can’t do,” McCarty says. The message that “Access+Ability” is trying to get across is bolstered with a series of Design Access Lab public workshops and lectures. With sessions on dance, museum access, digital storytelling, and a day-long symposium on accessibility in cities, the labs are a resource for communities to learn more about what is new and evolving in accessibility. It also offers participants a place to share ideas and have conversations about accessibility issues. New Yorkers Abby Klein and Kirti Agarwal recently visited the exhibition with a group of friends and colleagues who work to develop accessible computer software. Hardware, they say, isn’t something they often get to see or experiment with day-to-day. They were interested in learning more about the myriad forms that have resulted from careful attention to usefulness—and design. McCarty adds that though there is a great deal of progress in accessibility and inclusivity in design for people of all types, it is still very much an emerging field. Perhaps, she adds, the diverse collection of ideas and solutions on display in Access+Ability will inspire even more ideas. “Access+Ability” is on view at the Cooper-Hewitt until Sept. 3, 2018.